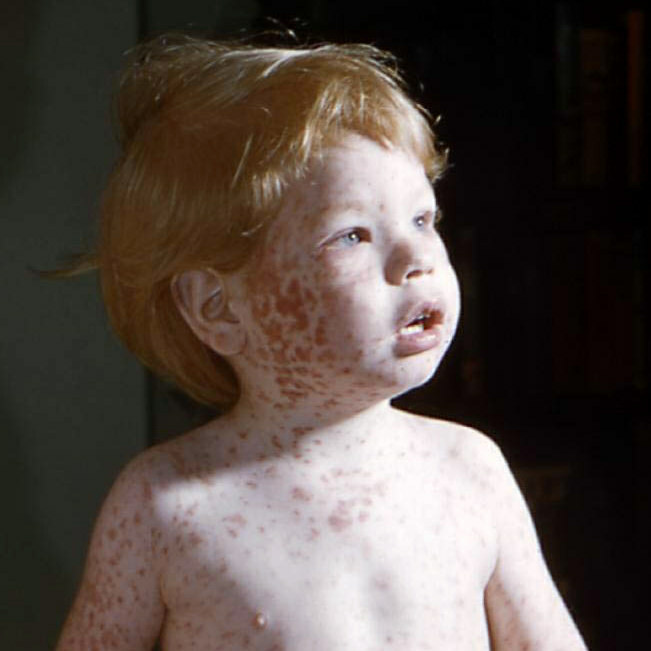 Rubella, also known as German measles, is caused by a virus. It is usually a mild disease, but can result in severe damage of an unborn baby when it occurs during pregnancy. The number of rubella cases has fallen dramatically since the vaccine became available in 1969. Prior to this, extensive outbreaks of rubella occurred every 6-9 years. The last such outbreak started in Europe in 1962/1963 and spread to the USA and other countries, including New Zealand in 1964/1965, causing many cases of Congenital Rubella Syndrome. Rubella is now very rare in New Zealand due to high rates of immunisation in the community. 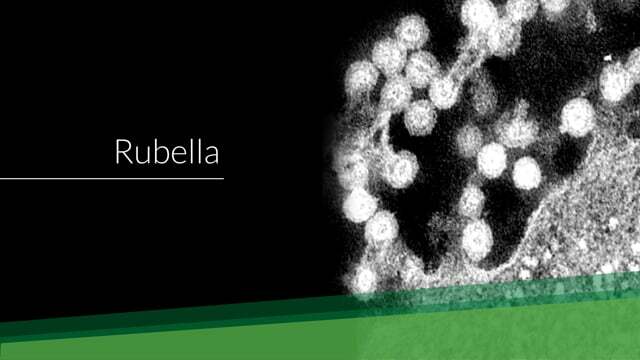 Rubella is spread through the air from person to person by coughing and sneezing. The incubation period (time from infection to onset of symptoms) varies from 14 to 23 days. Infants born with Congenital Rubella Syndrome (infected when the mother was pregnant) are considered infectious until they are one year old. It is common to have rubella without symptoms or very mild symptoms. When symptoms are present, they include a brief widespread, non-specific rash and swollen lymph glands. There is no specific treatment for infection. Rubella is usually a mild disease in children. More complications occur in adults with rubella than children; temporary painful or swollen joints are seen in approximately half of adolescents and adults with symptoms. Rubella may also occasionally present as a more severe illness, indistinguishable from measles, and encephalitis (inflammation of the brain) occurs in 1 out of 6,000 cases. The unborn baby is most at risk. Rubella is of serious concern if contracted in the early stages of pregnancy, as it is highly likely to cause severe abnormalities in the developing baby, referred to as Congenital Rubella Syndrome. These include cataracts, deafness, heart abnormalities, intellectual disability and behavioural problems. Most at risk of infection are those without a prior history of rubella immunisation or confirmed rubella disease, women born in New Zealand between 1965 and 1967 and immigrant women of childbearing age who have not received rubella or MMR (measles, mumps and rubella) vaccine. Rubella vaccine, as part of the MMR (measles, mumps and rubella) vaccine, is the best method of prevention. MMR vaccine is free for all unimmunised individuals, or those with an unknown immunisation history. No rubella-only vaccine is available in New Zealand. Cases of rubella must be kept away from early childhood services or school for seven days after the rash appears. Jane (not her real name), was exposed to rubella as an eighteen year old student nurse who did not know she was pregnant.